CCTR's mission is to develop innovative end-to-end solutions that will enable extramural diagnosis, monitoring, coaching and treatment, to provide scientifically sound knowledge on how this technology can be safely and effectively used in new concepts of care and care relate prevention, and as a whole implemented in daily life and care practice, and to make a significant contribution to economic activity in this field. Prof. Van Schayck is scientific director of CaRe, the Netherlands School of Primary Care Research and professor of general practice. He has extensive experience in innovation related health care research, with a list of over 250 publications. He is recognized as the most cited researcher in the world in his research area. He has obtained thus far 61 national and international research grants in the area of health care (of which 21 grants from NWO/ZonMw), with a total funding of more than 23 million Euro. In these projects more than 50 PhD students participated. His research is focussed on the diagnosis and treatment of chronic diseases in primary care. Prof. van Schayck has experience in managing large scale research programmes. He has initiated and led large long-term research programmes with intensive industrial collaboration, such as the nation-wide programme PICASSO implementing COPD disease-management in primary care. 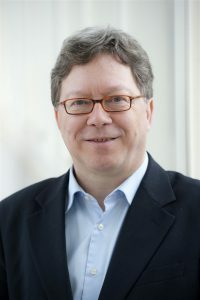 Prof. Hermens is a professor in neuromuscular control of human movement and in Telemedicine at the University of Twente. Since 2007 he coordinates the research group focused on remote monitoring and remotely supervised training. He is also clustermanager at Roessingh Research and Development, a private rehabilitation research institute, in the area of sensing and telerehabilitation. He is (co)-author of over 160 peer reviewed scientific journal publications, has (co)supervised 15 PhD students and is currently (co)supervisor of 18 other PhD students. He coordinated 3 European projects and participated in over 18 other international projects and numerous national projects (acquired grants over 17 million euros). He is fellow and past president of the International Society of Electrophysiology and Kinesiology (ISEK), editor-in-chief of the JBMR and coordinated the Seniam group leading to the first surface EMG standards. Prof. Hermens was co-founder of Roessingh research and Development, now the largest research institute in rehabilitation technology in the Netherlands with over 60 multidisciplinary academic people. 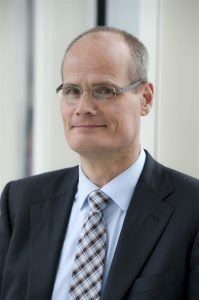 Prof. Hermens is embedded in two research institutes of the University of Twente, Mira (biomedical engineering) and CTIT (ICT), which enables him to create substantial multidisciplinary research, development and implementation activities in Telemedicine for chronic care. 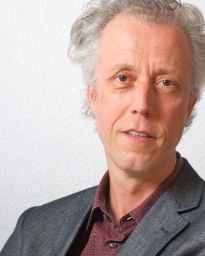 Prof. de Witte is professor of technology in care at MUMC+ and is leading the research centre care technology at Zuyd University of applied sciences in Heerlen. His research team is a multidisciplinary group of 14 fte, divided over both universities but closely working together in a joint research programme. His research focuses on the application of technology in long term care, with an emphasis on elderly care and care for patients with chronic diseases. Until September 2009 he acted as manager research and development at Vilans, a national centre of expertise on long term care. Earlier he has been a programme manager at iRv (that merged with Vilans in 2007), responsible for a multidisciplinary team of about 25 fte (35 persons) for many years. In this role he was a member of the management team of iRv for more than 10 years. Prof. de Witte has broad experience in applied research and care innovation in long term care (rehabilitation, elderly care, care for people with disabilities). He received grants for more than 35 projects with a total value of over 10 million euro’s, including several international (EU-funded) projects. He has supervised 10 PhD students in the past and presently supervises 7 PhD students. His experience fits the goals of CCTR very well, since he has always worked in between academic research and applications in practice and he has a long experience in managing multidisciplinary research teams. He has been a co-author of over 65 articles in peer reviewed international journals (pubmed). Prof. Friele is professor of social scientific aspects of health care evaluation at Tilburg University. He is deputy director of the Netherlands Institute for helath services research (NIVEL). At NIVEL he is also head of a research department, programme coordinator for legislative studies, as well as head of NIVEL’s Knowledge exchange centre. Theme’s of research of Prof. Friele are the position of patients in health care, evaluation of legislation, governance and implementation of technology and innovation in health care. Prof. dr. van Meeteren (Amsterdam 1959) has a professional career as a physiotherapist in clinics (up till 1989) and as associate professor in disability medicine in fundamental and clinical research and development management at the Rudolf Magnus Institute for Neurosciences and UMC Utrecht/Utrecht University. During his Utrecht-years he, amongst others, managed the research programmes ‘Functional recovery from locomotor tract pathology’ and ‘Activity and Health’. Prof. dr. van Meeteren initiated, founded and managed the Master of Science Physiotherapy Research, and launched and managed the Department of Physiotherapy Research of the Academy of Health Science Utrecht. He received the Henri Horoszowski Memorial Award for development of functional diagnosis in patients with Haemophilia of the World Federation of Heamophilia in 2005 and for concept-development of ‘Better in, Better out’ he received ‘De Parel’ form ZonMw in 2009. 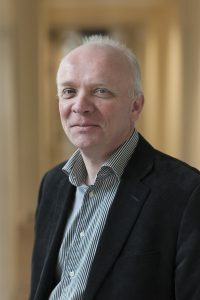 Since 2008 Prof. dr. van Meeteren is head of the Department Health Promotion at TNO (n=45; 6,2 MEuro per year) and program manager Health Care Innovation (5 Meuro). 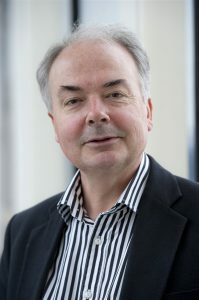 From January 2011 he acts as Director of Innovation Healthy for live at TNO (n=150; 16.5 Meuro). He co-authored 43 SCI-publications, acted/acts as co-promotor of 11 PhD students, as a member of several advisory and steering boards and as a reviewer for organizations like ZonMw, WCF, etc. and journals as Phys Ther, J Clin Epidemiol, Clin Biomechanics, etc.